The good weather will bring lots of neighbors out to enjoy dinner together in McKinley Park. 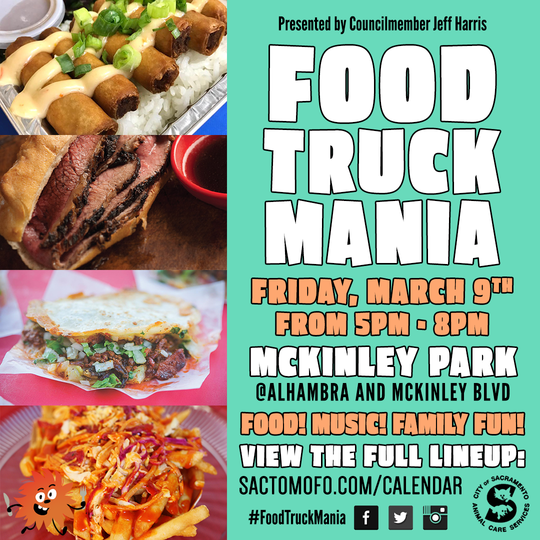 The Food Truck Mania season starts up on Friday March 9th at 5:00. Come join us for some of the best food to be served out of a truck, enjoy some good music and lots of good company. You’ll find the food trucks out on the second Friday of each month through Spring, Summer and a little bit of Fall.